Bai Hao Oolong is named for the unique appearance of its tea leaves, which are mostly dark in color but ends with a silvery tip. 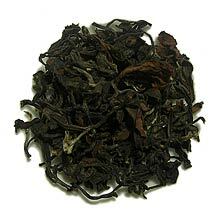 It is also known as "Dong Fang Mei Ren" or Oriental Beauty, a name given by Queen Elizabeth II in the early 20th century when she tasted this tea for the first time. Bai Hao Oolong is one of the most precious tea to come from Taiwan. Truly a "beauty" not to be missed. Yield a rich and strong honeyed note liquor which is a reminiscence of Keemun tea. Bai Hao Oolong tea leaves are very special. The body of the tea leaves are dark in color but ends in a silvery tip, similar to Yin Zhen (White) tea.